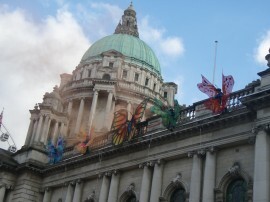 Off the Wall was a continuation of the Fly Butterfly training project, organized by Circus Bone Idle and funded by the Arts Council of Northern Ireland. 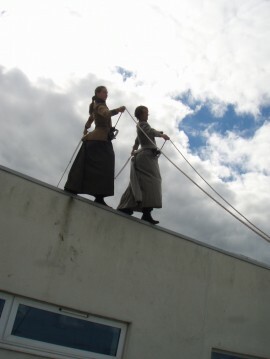 Circus performer, Laura Tikka and I worked with six performers: Flora Herberich, Hillas Smith, Sarah MacKeever, Natasha Wilton, Rachel Lindsay-Devenney and Beccy Laidlaw. 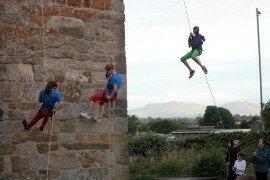 The performance was held on one of the exterior walls of The Crescent Arts Centre in Belfast, as part of its re-opening celebrations. 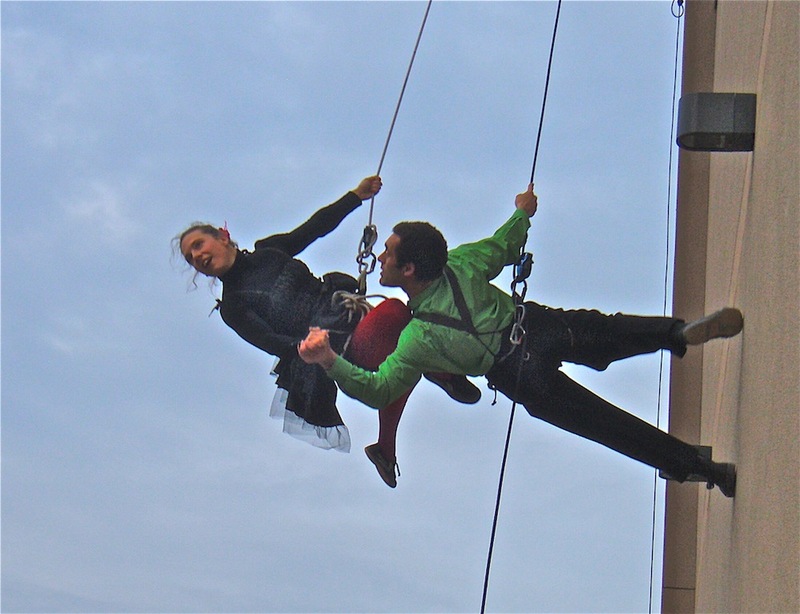 In this project we were able to develop the skills of the performers so that they could perform more complex technical movement vocabulary, explore their own choreographic ideas, become more familiar with the equipment and experiment with partner work. Copyright © 2013 Kate Lawrence. All rights reserved.